A committee comprised of elected officials, labor unions, and home building interests have funneled over $629,000 into Sacramento County Measure B, the so-called Fix it First sales tax measure. Measure B, which need a super-majority 66.6-percent for approval, would impose a one-half cent sales tax for 30 years in Sacramento County. The measure is sponsored by the Sacramento Transportation Authority purports to be aimed at fixing roads, although several new transportation projects county-wide are included. According to financial disclosures filed with the Sacramento County Board of Elections, the Committee to Repair our Roads & Relieve Traffic - Yes on Measure B has raised $629,262 through October 4, 2016. Of that amount, $183,225 has been raised since September 20. The largest single contribution came from Sacramento Mayor-elect Darrell Steinberg who extended a no-interest loan to the committee $200,000 with a due date of December 31, 2016. The City of Sacramento is slated to receive approximately $638 million of the expected $3.4 billion in taxpayer dollars over the 30-year life of the tax. Other elected officials contributing to the committee include Sacramento City Council Member Steve Hanson and Sacramento County Supervisor Susan Peters, both of whom gave $1,000. One of the specific projects that would be funded by Measure B proceeds is a proposed $195-million streetcar that would run from West Sacramento to Hanson's city council district that was already rejected by voters. 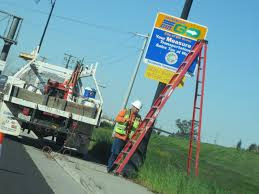 The other main contributors to the Measure B are road construction contractors such as Teichert Inc. ($25,000), Granite Construction ($25,000) and labor unions such as the District Council of Ironworkers Political Issues Committee ($50,000), and International Union of Operating Engineers ($5,000). Among the trade unions that have membership involved in housing construction who are major contributors include Plumber and Pipefitters Local 447 ($5,000), Northern California District Council of Laborers ($10,000), and the International Brother of Electrical Workers ($15,000). Housing interests making significant contributions included Angelo Tsakopoulos Investments ($27,500), and the California Association of Realtors ($10,000). Among the expenditures already reported include are slate mailers from Budget Watchdogs Newsletter ($5,000), California Voter Guide ($5,000), CalSal Voters Guide ($5,000), COPS Voter Guide ($12,065), Elections Digest ($5,000), No Party Preference Voter Guide ($6,990). In the last two weeks, Elk Grove residents have received two informational mailers from the City of Elk Grove outlining the benefits Measure B would bestow on the city if passed. At this time, it is not known if The City or some other party paid for the printing and distribution of the pieces. Among project that will be funded in Elk Grove should Measure B be approved is the Kammerer Road extension between Highway 99 and Interstate 5 and the Capital Southeast Connector Road. Should those two roadway projects commence, the City of Elk Grove is expected to pursue approval for tens-of-thousand of more housing units in the area that is currently in agricultural use. Although elected officials of both parties, labor unions, construction interests, and housing developers have lined up to push Measure B, opposition is being mounted by Don't Double The Tax. To date, the committee has received $21,933, with $2,000 coming from Sacramento Taxpayers Association and an individual donation totaling $13,250 from Lawrence Carli of Elk Grove.